The Skuylkill Banks area isn't well-known for its restaurants or as a hot spot for after-work drinks. 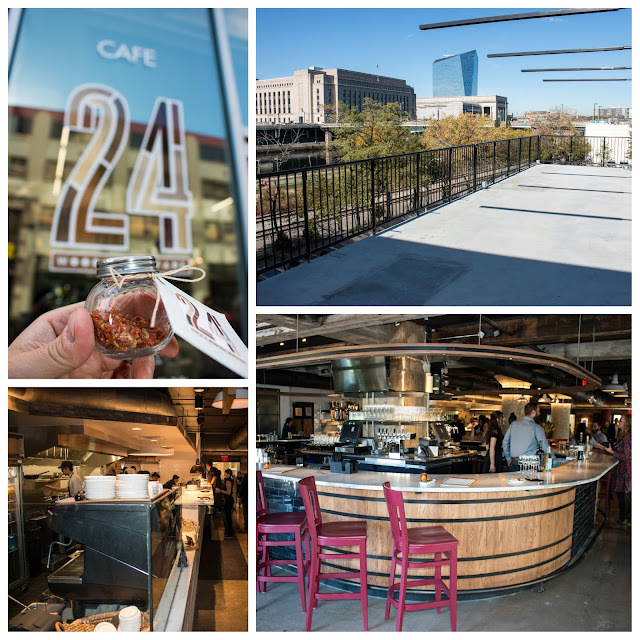 And with all of the recent rejuvenation happening in the area, it only makes sense that Iron Chef Jose Garces decided to help out in the form of 24. 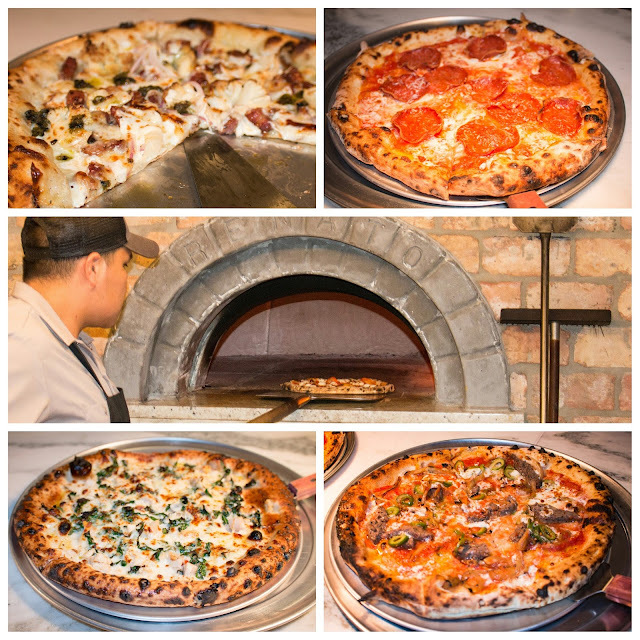 It's a casual neighborhood spot - offering up an extensive Italian wine list, antipasti, wood-fired pizza, and pastas. Expect Garces' Latin influences to play a part, especially with the strong emphasis on aperitivos. Essentially "happy hour" from 4:30 to 6:30PM, there will be drink specials, snacks, and complimentary small plates going around! And with the holidays coming up, keep 24 in mind! It's prime real estate, offering up great views of the Banks and the Cira Centre. The restaurant has private and outdoor spaces available for events. 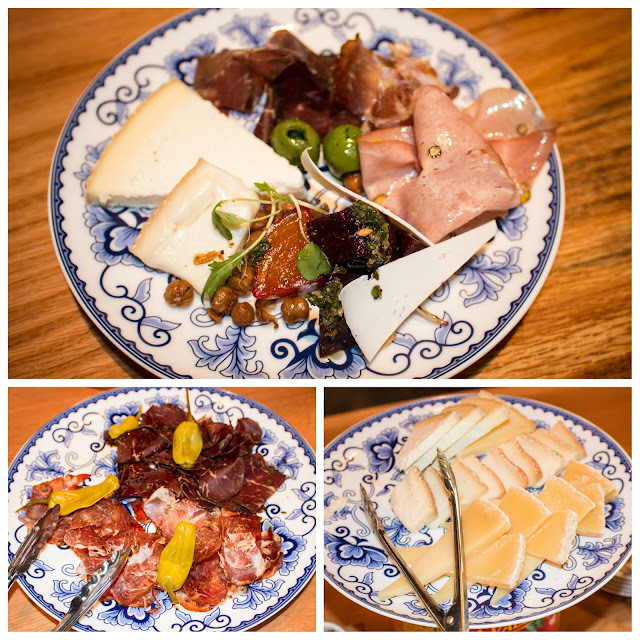 As you might expect, 24's charcuterie and formaggi game is on point. Indulge in a Chef's selection of salumi or cheese, perfectly paired with aperol honey, wild strawberry preserves, or chocolate hazelnut puree. 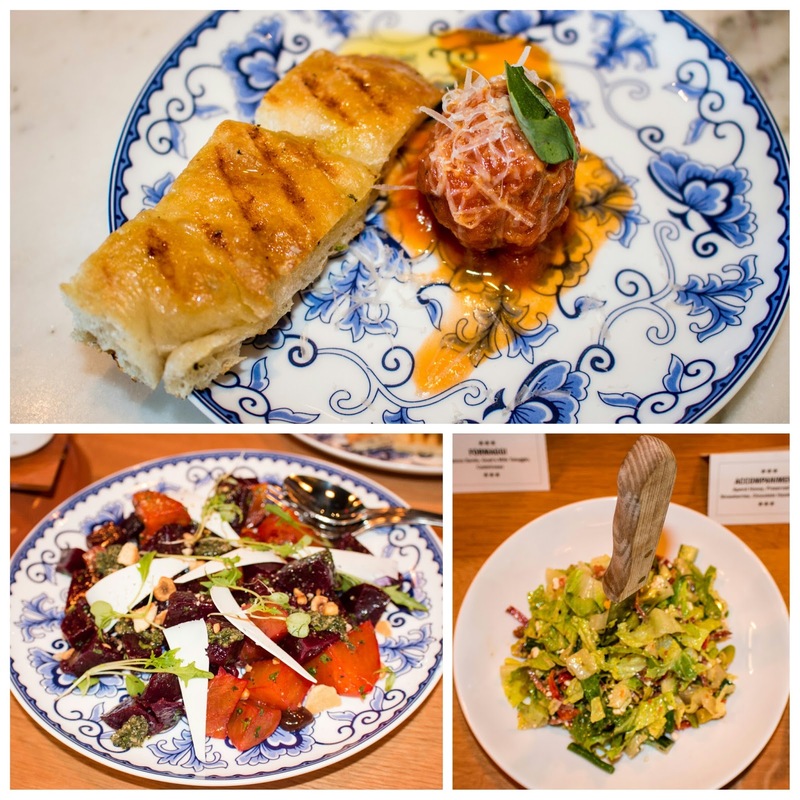 Look forward to familiar Italian flavors executed with an Iron Chef's sensibilities. The meatballs are moist and tender, with just enough acid from the sauce. There are plenty of salads on the menu for waist-watchers, though the Italian Hoagie insalate will satiate carnivores as well! And you know there's got to be a beet salad, but amped up with the salty hit of ricotta salata and some texture from the hazelnut and dried plums. 24's got a Renato! Pies are perfectly leoparded and crisped in this wood-fired oven ranging from traditional margarita and pepperoni pies to cauliflower and clam pizzas, which are all the rage these days for the right reasons! Classic and innovative flavors are on offer and there's a wide enough variety to indulge every palate. While 24's great in its own right, what makes the space epic is the fact that eStudio, Jose Garces' test kitchen, is in the back! 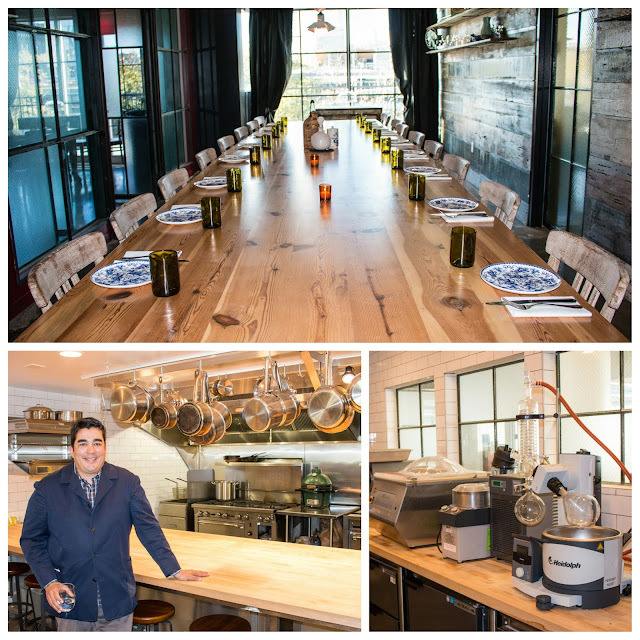 Past the gorgeous private dining area, gadgets and kitchenware abound in what's got to be every food nerd's dream. 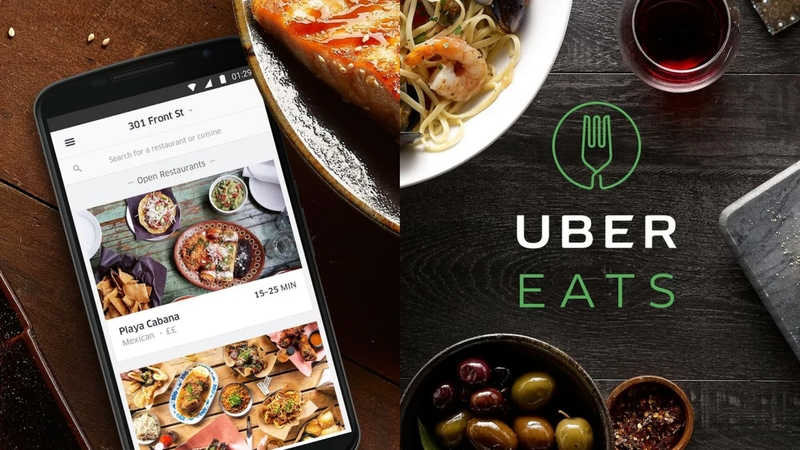 Follow eStudio on social media because there might be some first-come-first-serve events to try out some new dishes! But in the meantime, make sure to stop by 24 for aperitivo drinks, bites, and pizzas!